As the end of the teaching/learning year draws to a close the annual assessment day for student folios draws near. 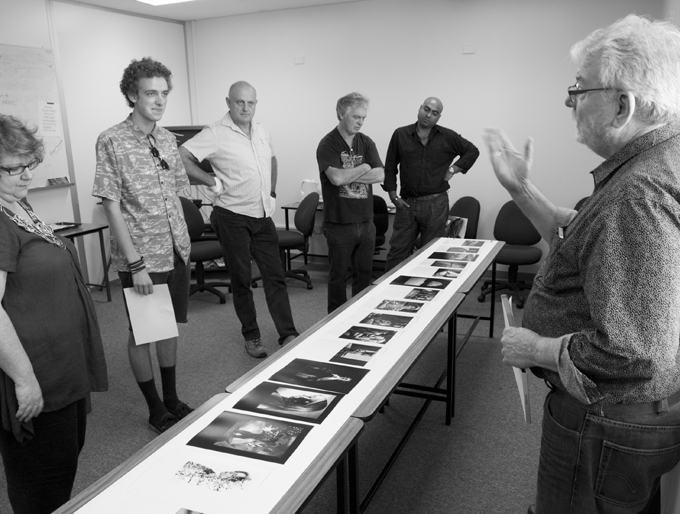 This year 5 Brisbane photographers joined with local professional identity Syd Owen to provide this important industry connection with the Southern Queensland Institute of TAFE’s Photoimaging department’s students. 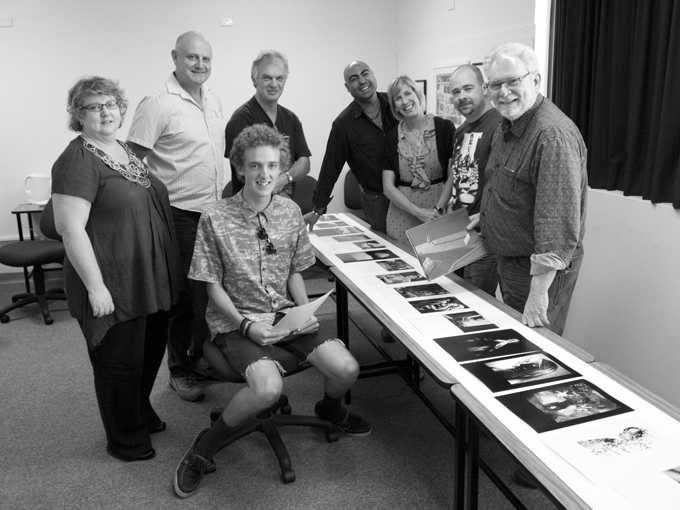 The team was (left-right) Alison Ahlhaus, Syd Owen, Andy Cross, Mark Schoeman, AIPP Queensland President Jan Ramsay, Cam Attree and Ian Poole. 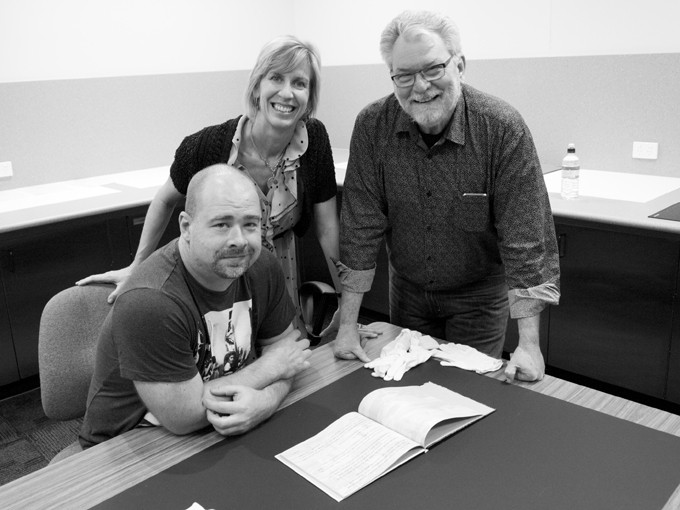 This year assessment consisted mainly of final folios from the Certificate IV in Photoimaging (CUV40403) and a Diploma of Photoimaging folio. The folio submission consists of 16-20 high quality 20×30.5 images from work made throughout the year as course work. Students also present a photobook for assessment. 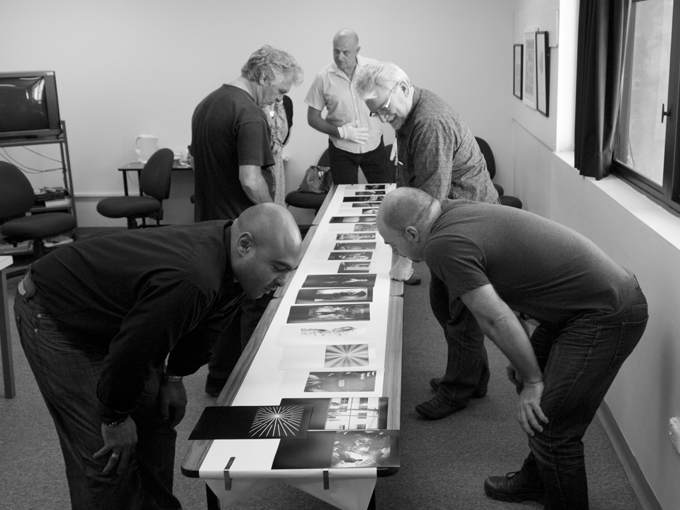 The photobook represents a major component for holistic assessment of a broad range of professional practice from image-making, optimisation and online output through print-on-demand book service providers. Importantly the photobook project necessitates the development of a conceptual body of work which the student melds into a personal narrative. These photographs of the event provide some representation of assessment day activities. The Photoimaging Team, Alison Ahlhaus, Rachel Susa and myself greatly appreciate the special connection that this industry liaison provides for the college, the students and the ability it provides for our student work to be moderated against contemporary industry standards in photoimaging. It is always a pleasure to drive up the range to visit the great team at SQIT and be a part of this assessment day. Every year the students amaze me with their inspiring work. There was certainly some outstanding books and folios to white glove up for, assess and discuss with the students. 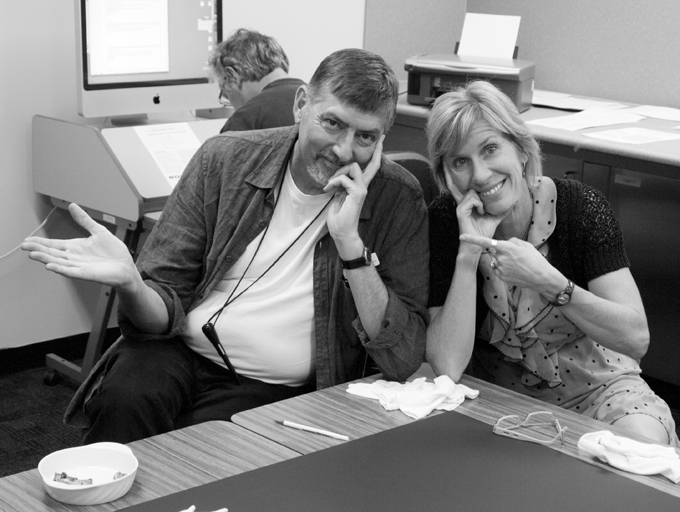 Doug, Alison & Rachel are amongst the best educators I have had the pleasure of working with. Always challenging the students to think laterally and rise above the possible while being so caring of each and every student and their needs.